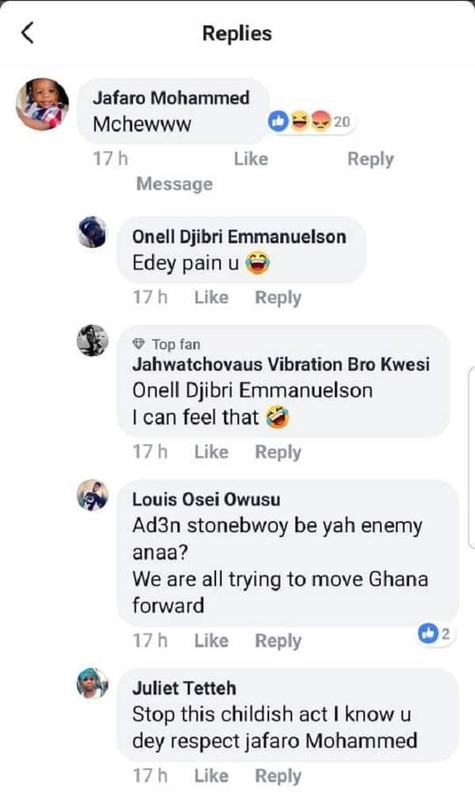 In a screenshot making the rounds on social media, Addi Self scoffed at Stonebwoy’s new assignment, an indication that he was not happy about it. Commenting on the report that the Baafir hitmaker had been given that contract, Addi Self simply wrote: “Mtcheww”. Addi Self, who has proven to be loyal to Shatta Wale, was reacting to earlier report by YEN.com.gh that Stonebwoy had successfully signed a deal with Samsung. Though the exact amount has not been disclosed yet, it is said to be a multi-million dollar deal. He earlier gave the name of the boy as L Janam Satekla Jnr, and later explained the meaning of the name.